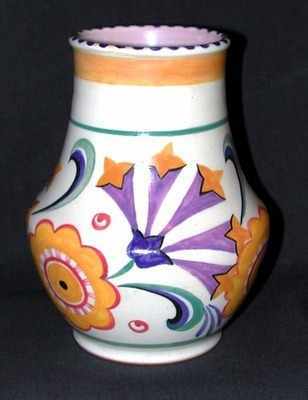 Vase by Poole. Size 5.5 inches high. Excellent condition. has a mino nick underneath the base. Impresed mark "Poole Pottery" and also marked 267/FN and # 3. Price £125.